Once again I find myself with a foot-tall stack of books I’ve read but not yet reviewed for my followers, next to a stack of papers to grade and projects to complete for school, which started 3 weeks ago. Normally, I would simply find space for these books in my shelves and move on, but this particular set is crying out for attention — for public praise. So, here goes: a whirlwind tour of my summer reading, in installments. Jack Gantos, From Norvelt to Nowhere (2013). 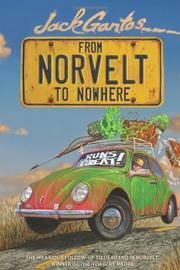 This sequel to Gantos’ Newbery-winning Dead End in Norvelt puts the hero, Jack, aka “Gantos boy”, on the road in search of an escaped murderer of the old ladies of Norvelt. Although not as funny as the first volume in this series, and much more far-fetched, it remains true to Gantos’ characters. His semi-autobiograpical young protagonist is still the factotum for the arthritis-ridden Miss Volker. Before the model village of Norvelt disintegrates (houses destroyed or uprooted to be planted elsewhere, not to mention all those murders), Gantos and Volker head south, stopping at historic sites along the way. Meanwhile, the Cuban missile crisis and civil rights protests are in full swing, inspiring more of Miss Volker’s lessons in US history. 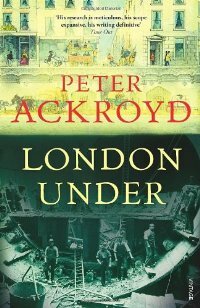 Peter Ackroyd, London Under (2011). As I walked around London this past summer, Ackroyd’s history of everything that lay beneath the pavement was my guide. There is, of course, plenty here about the London Underground, but also about tunnels to carry water, gas pipes, and electrical cables; about ancient streams and rivers that still run under the City; and about the men who designed, built, and even partied in these massive subterranean constructions. In an interview with one underground worker, Ackroyd comments on the “sheer facticity of much human activity. It is not purposeless. It has all the fascination of making art. The obsession, the act of digging out the earth, is enough.” This book made me grateful for those obsessions. 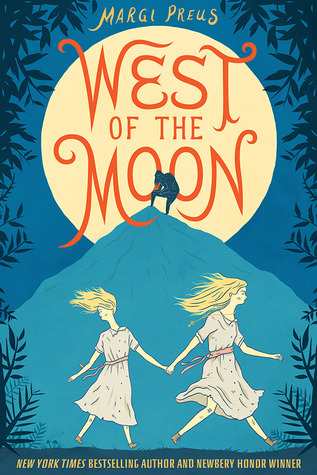 Margi Preus, West of the Moon (2014). “East of the Sun, West of the Moon” is one of my favorite fairy tales, so Preus’ title grabbed me. Astri narrates this short novel, comparing the challenging but happy adventures of a fairy heroine to the all-too-real horrors of her own life: sold to a cruel farmer, beaten and starved, treated worse than the goats she tends. It is soon clear that Astri’s master is no prince in disguise, so she makes her escape in true fairy-tale fashion: taking some of her master’s “magical” belongings with her. Her trek winds up on an immigrant ship to America. Preus deftly weaves references to several Norse tales into her plot, which sprang from events described in her great-great-grandmother’s diary. The personal connection is what makes this book golden. 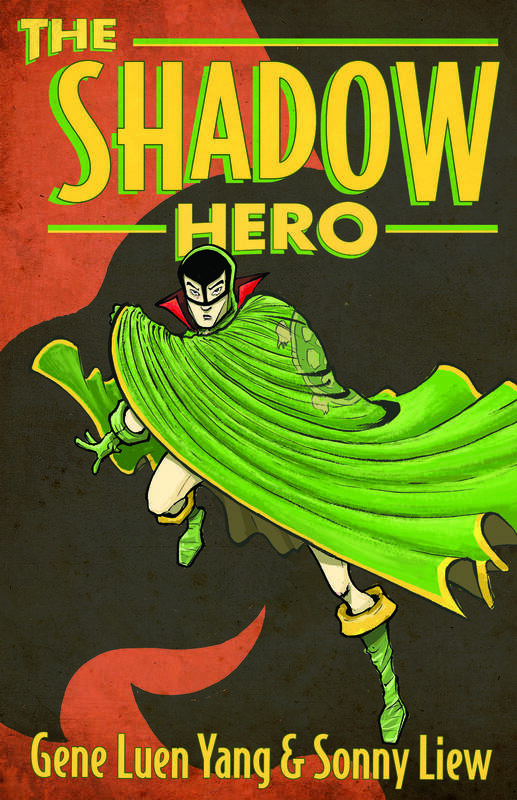 Gene Luen Yang and Sonny Liew, The Shadow Hero (2014). An Asian-American Superhero to stand next to Superman and Wonder Woman? Yang and Liew create the backstory for a Blazing Comics hero introduced in the 1940s. In those few issues that featured him, The Green Turtle’s face was never shown, and his “assistant” was a shadowy figure with slanted yellow eyes and a wide red mouth. Yang and Liew note that the few issues featuring The Green Turtle were drawn by Chu Hing, so they feel justified in making this hero the son of Chinese immigrants in one of California’s Chinatowns. The fight scenes of this graphic novel recall the “SMACK” and “POW” of the Golden Age of comics, and the tale of Hank’s evolution from the quiet son of a quiet shopkeeper into Man of Strength Who Cannot be Killed with a Gun pays homage not just to our favorite comic-book heroes, but also to the history and culture of Chinese immigrants to the US. This entry was posted in Adventure, Fantasy, Graphic Novel, History, Humorous, London Underground, Newbery Award, YA Lit and tagged Gene Luen Yang, Jack Gantos, Margi Preus, Peter Ackroyd, Sonny Liew. Bookmark the permalink.